At the start of your process, it may be helpful to create an outline of steps that you will take, and to consider available resources and services that might help you complete every step. Here, we provided a general flow chart in the right box, a list of questions you may ask, and resources may help you answer these quesitons below. You will need to discuss with your academic advisor and/or dissertation committee to choose a valid research question. You may not be able to identify all the specifics at the beginning but narrowing down to a reasonable topic is important. What kind of literature review is appropriate for my research question? Depending on your area of research, you may need to rely on scholarly articles, books, patent, newspaper articles, conference proceedings, data sets, new media, and so on. Check the Finding Literature to Review tab in this guide for general information and consult our Subject Specialists for more details of your research area. How much literature should I use? There is no standard answer to this question. But make sure that you have enough literature to help tell your story. You may find examples in the workshop provided to graduate students by Rackham Graduate School and English Language Institute. Discussion with your advisor and peers in the lab is helpful too. How will I make sure that I find all appropriate information that informs my research? Multiple databases and resources appropriate for your research area should be consulted so that you can have a comprehensive view of what's been done in your area. Browse your research area on the library homepage for top databases recommended for your area. 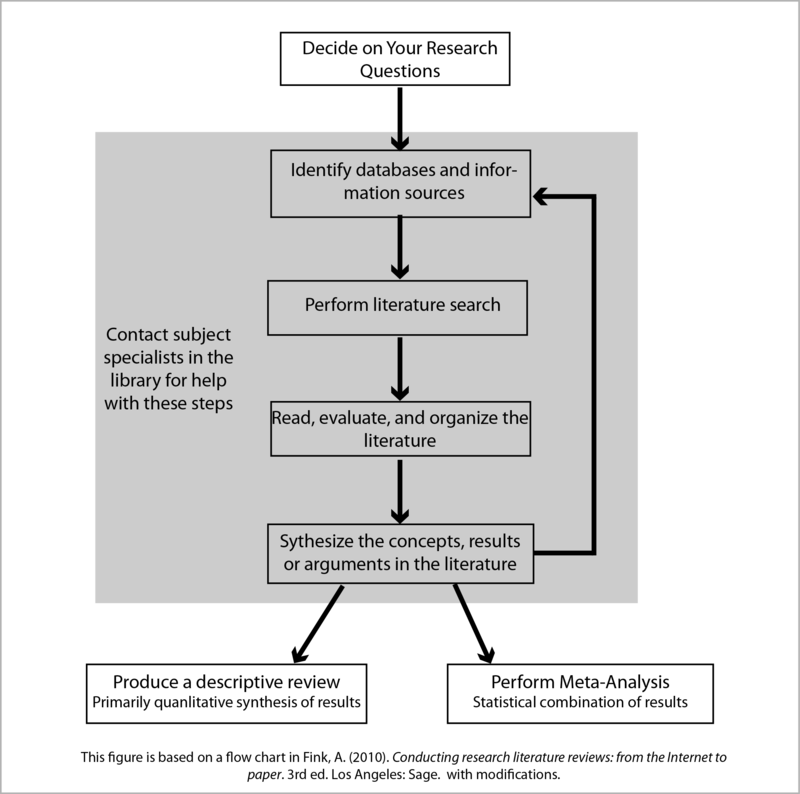 Please also consult with Subject Specialists to determine the resources you should search and investigate. How will I evaluate the literature to include trustworthy information and eliminate unnecessary or untrustworthy information? Start with scholarly sources, such as peer-reviewed journal articles and books. Always pay attention to creditability of the source(s) and the author(s) you cite. Citation analysis can be useful to check the creditability of sources and authors. How should I organize my literature? What citation management program is best for me? Citation management software can help you organize your references in folders and/or with tags. You can also annotate and highlight the PDFs within the software and usually the notes are searchable. To choose a good citation management software, you need to consider which one can be streamlined with your literature search and writing process. Here is a guide page comparing a few different types of citation management software with tutorials for each type of software. You may also ask Scholarspace or our Subject Specialistsfor help. What steps should I take to ensure academic integrity? Familiarize yourself with different types of intentional and unintentional plagiarism and learn about the University's standards for academic integrity. Start with this guide. Where can I find writing and editing help? You may find writing and editing help at Sweetland Center for Writing and English Language Institute. Where can I find I find formatting standards? Technical support? The Rackham Graduate School has an official guide for formatting of dissertation and a Dissertation Handbook for detailed examples. Scholarspace at the library provide workshops and consultations about using Word to format your dissertation. In the official guideline, Rackham Graduate School requires using "the format preferred by the discipline". If you are not sure, please consult our Subject Specialists for help. A guide to writing a literature review, including things to include, narrowing your topic, finding models, organizing your review, etc.